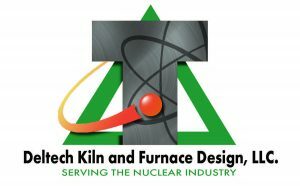 DKFD receives a job training grant from the State of Colorado - Deltech Kiln and Furnace Design, LLC. The training will be conducted under the provisions of a contract with Manufacturer’s Edge. Manufacturer’s Edge is an organization dedicated to provide assistance to small and medium sized businesses. The NQA-1 training will enable us to build on our existing ISO 9001:2015 quality program to position DKFD to serve the nuclear industry more effectively. We will be able to better compete for CNS (Consolidated Nuclear Security) contracts and subcontracts. This will also help us better serve the national labs. Our enhanced knowledge of quality concerns – and our NQA-1 compliant program – can be put to work in our furnace design process and beyond. NQA-1 is a quality assurance program for the nuclear world. It builds on existing ISO quality plans. Safety is the primary concern when dealing with nuclear materials and processes. And adherence to stringent quality standards is critical to ensuring that the end product meets the exceptional safety standards. We are grateful to our home state of Colorado, to the Small Business Development Center, and to Manufacturer’s Edge. And of course to the nuclear services contractors who awarded us our first subcontracts. All have been instrumental in providing expertise, guidance, and the financial support to make this happen. We expect to complete the training in early 2019, and have an NQA-1 compliant quality assurance program in place shortly thereafter. Interested in what we have to offer? Please view our Capabilities Statement. And contact us to discuss your current or upcoming project.